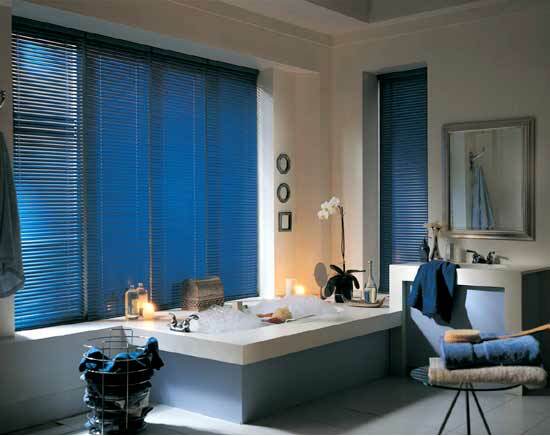 These blinds are built for durability and are perfect for contemporary styles. If you are looking for a traditional, low cost window treatment in virtually an unlimited variety of colors, then aluminum horizontal blinds are the classic choice. Known as “mini blinds” “metal blinds”, “micro blinds” and “venetian blinds”, nothing beats the durability and light blocking action of aluminum mini blinds. Plus, you’ll discover upgrades in aluminum blinds like hidden control systems, built-in valances and concealed mountings.